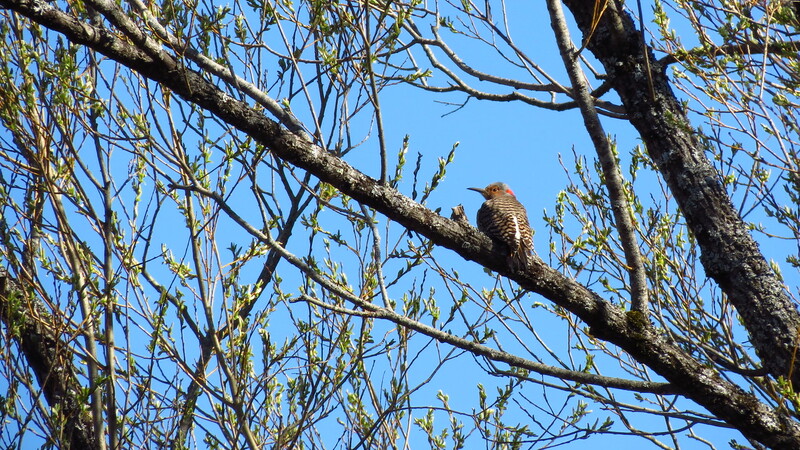 Join us for a beginner birding adventure at Alford Springs! Description: Join BNRC and Hoffmann Bird Club member, Ed Neumuth, as we will hike a portion of the beautiful Father Loop and look and listen for birds. In 2016, a 25-acre forestry project on the Father Loop created early successional habitat along with excellent views of Mt. Greylock. Please bring lunch/snack, water, and appropriate footwear. From Great Barrington: Take Taconic Avenue, which becomes Alford Road. Drive past Simon’s Rock to a left on Seekonk Road; follow Seekonk Road (becomes Green River Road) for 3.6 miles. Turn right on to Mountain Road (if you come to the New York State line, you’ve gone too far). Follow Mountain Road for 0.8 miles, bearing left at the first “Y” and left again at the sharp right turn at 0.8 miles. From Pittsfield: Take Route 20 West and turn left onto Route 41 heading south. Drive to Great Barrington and turn right onto Division Street which becomes Seekonk Road. Follow Seekonk Road which becomes Green River Road, turning right on Mountain Road (if you cross the NY state border you have gone a little too far. Follow Mountain Road for 0.8 miles, bearing left at the first “Y” and left again at the sharp right turn at 0.8 miles. Due to the nature of the event, space is limited. Please RSVP by emailing Mariah at mauman@bnrc.org or calling 413-499-0596. Severe weather will cancel the event.